How can you help persons with disabilities assert their rights? More than one billion people, or 15 per cent of the world’s entire population, live with some kind of disability. Despite forming such a large part of our societies, people with disabilities continue to face discrimination, barriers to inclusion and even denial of their basic human rights. In 2006, the world’s countries recognized that the situation of people with disabilities was so precarious, it called for a stand-alone international agreement to guarantee their rights are respected everywhere and by everyone. That document – the UN Convention on the Rights of Persons with Disabilities – came into force almost exactly ten years ago, but despite the significant progress it helped to trigger, discrimination, exclusion and rights violations are still a familiar reality for too many persons with disabilities. 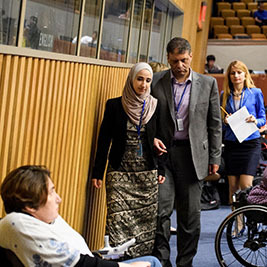 Between 12 and 14 June, countries will come together once again to discuss how implementing the disability convention fully can help achieve the ambition of leaving no one behind. This, the 11th Conference of States Parties to the Convention, will be held at the UN Headquarters in New York. If your country has not already done so, advocate for your country to ratify the convention and its optional protocol, which allows individuals to petition an international expert body with grievances. Check what your country’s status is here. 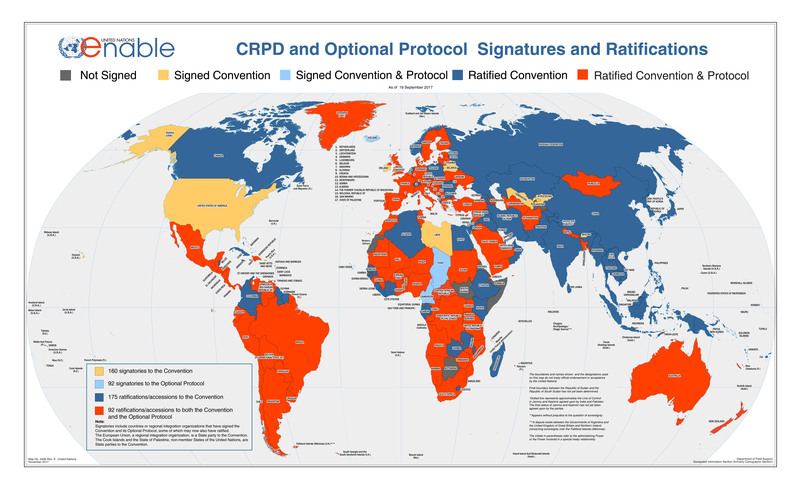 Support full implementation of the convention in your country – through organizing public discussions on the rights of persons with disabilities, engaging local government officials, mayors and community leaders, launching awareness-raising campaigns and highlighting the important contributions of persons with disabilities to society. Join or support an NGO accredited to the Conference of State Parties of the disability convention. You can find the full list here. If you are already a member of an NGO, you can apply for consultative status for your organization. Follow @UN_Enable on Twitter and spread the word on social media and through your networks of friends, schoolmates or acquaintances. Every voice matters! Support persons with disabilities in your daily life: Whether you’re a teacher or a student helping through tutoring, an employer offering a post, a volunteer at a non-profit or simply a friend to a person with disabilities, you are part of the solution.